The Hua Xian Chinese Society is a non-profit, philanthropic organisation. 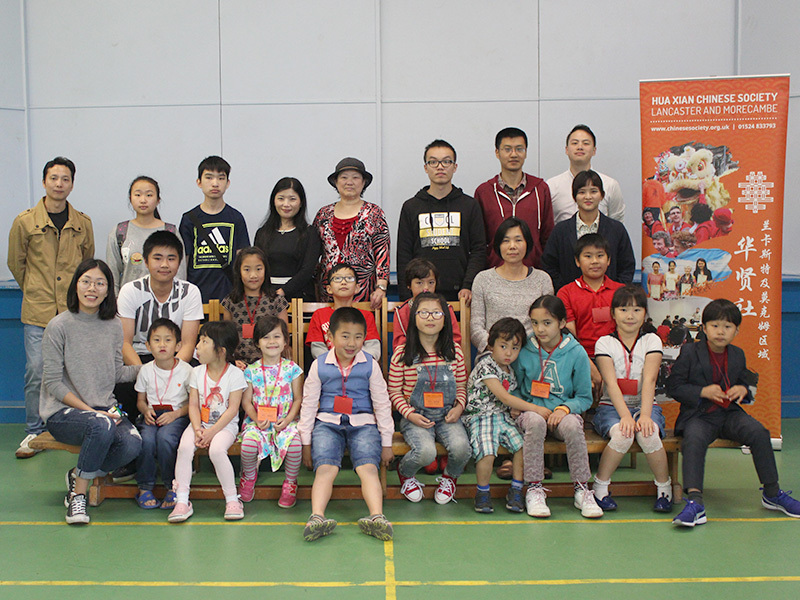 We organise activities and provide services that benefit the Chinese and wider community of Lancaster and Morecambe, Lancashire, United Kingdom. Our services include providing support for the welfare of disadvantaged members of the community but also celebrating Chinese cultural heritage through events such as the annual Chinese New Year celebrations. The Hua Xian Chinese School is also an important project with which we provide a safe and engaging environment for children from 4-16 years to learn Chinese and take part in other extra curricular activities. We also identify issues that affect the Chinese and wider BME community and help resolve them by working with other local agencies through training workshops, consultation and advocacy work. “Hua Xian” or “華賢 / 华贤” can be roughly translated into as “Chinese Virtue” or “Chinese Benevolence”. “Hua” is a term that refers to the Chinese identity regardless of ethnicity or origin. This represents our belief that Chinese community in our area – comprising people from areas as diverse as Mainland China, Hong Kong, Taiwan, Malaysia, Singapore, Vietnam, Canada and more – can contribute positively to the wider community and help others through philanthropy. The group formed out of the desire of the Chinese community for more Chinese cultural activities to help maintain their cultural heritage and services to support their integration into wider British society. The group was founded by Sam Moi Chan and Raymond Chan who first organised activities with other volunteers. It grew quickly with new services being added and soon became constituted with a dedicated team of volunteers as a management committee to coordinate a activities and services. The group started by organising the charity fund-raising Morecambe Chinese New Year Festival in February 2005. It brought together the local Chinese and wider community to celebrate the event whilst raising – £1,812.70 – for the DEC’s Tsunami Relief Appeal. Since then it has managed the annual Lancaster Chinese New Year Celebrations as well as continue its charitable work. Over time, the Society steadily made progress and achieved registered Charity status on the organisation’s 10th Anniversary in 2015. The Hua Xian Chinese Society continues to manage a community centre based in Lancaster which is now a thriving hub of activity with an Chinese language school, ESOL classes, drop-in information, regular social events and also the annual Chinese New Year Festival in Lancaster and Morecambe.